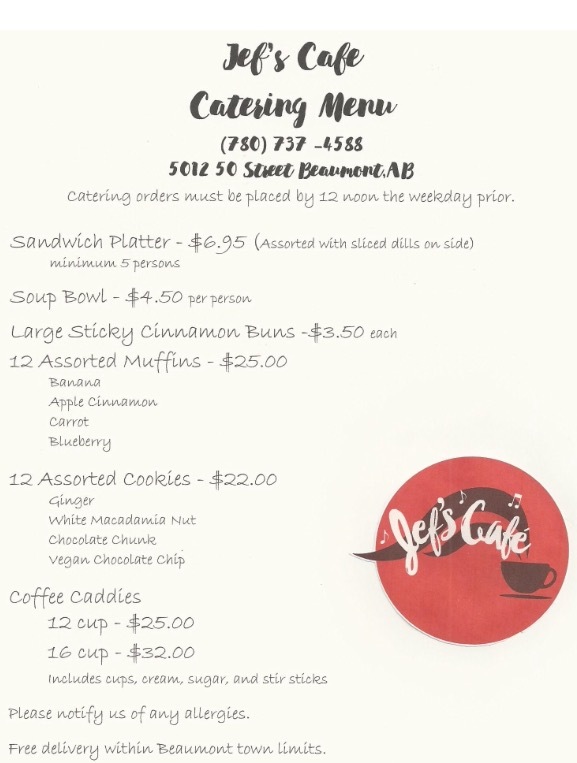 To submit a catering request, please look at the catering menu below and either email us at jefscafe@outlook.com or give us a call at 780-737-4588! Catering orders must be placed by 12 noon the weekday prior. FREE Delivery within Beaumont town limits!